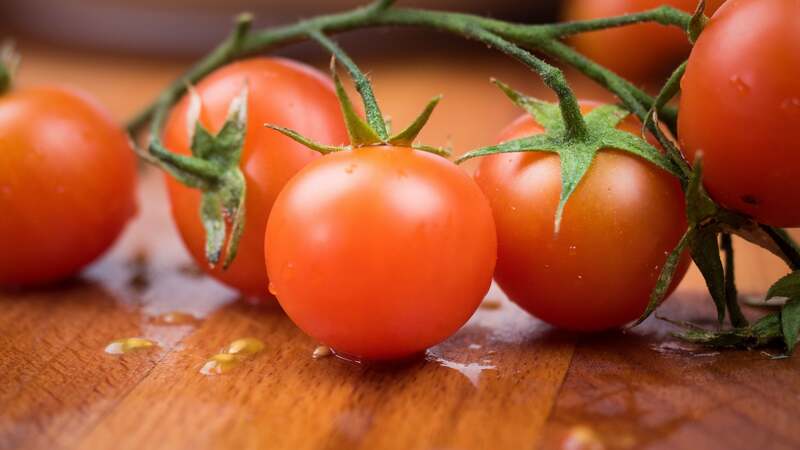 With the exception of cherry tomatoes - which are good pretty much all year - I try to avoid buying tomatoes until at least mid-summer, as purchasing them outside their season usually leads to disappointment. But I'm not perfect, and the other day I slipped up and bought (quite) a few on the vine. They were, as one would expect, a little lacklustre in the flavour department. The Bloody Mary is a drink for all seasons, but there can be something unpleasant about sipping thick, soup-like concoctions. 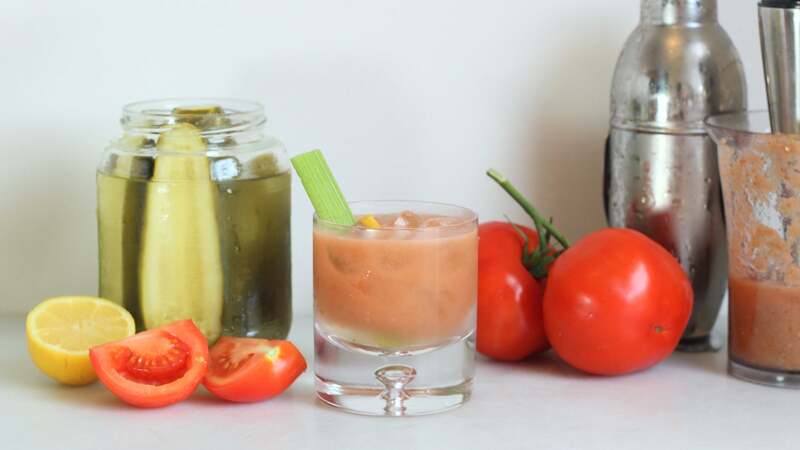 If you'd like a easier-to-drink version of the savoury brunch cocktail, skip the mix entirely and make your own with freshly pureed tomatoes. Rather than throw them away, I decided to fiddle around and see if I can make them taste just a bit closer to a true summer tomato. I sliced one up, sprinkled on some salt, then hit the slices with a few healthy pinches of table sugar. I then set them on wire wrack to draw out some of the water for about 10 minutes, then sprinkled on a little more salt and sugar. The process didn't magically turn the tomato into a summer tomato, but it was much improved. Drawing out moisture had helped concentrate the flavour, and the addition of sugar added some much needed sweetness, making it taste riper and fruitier. I placed the slices on a bagel with cream cheese, and consumed it quite happily. Better to make do, and avoid sugar. It's awful stuff for health.